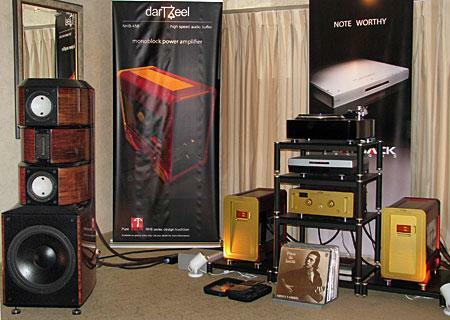 As John Atkinson and I entered the room at THE Show in which darTZeel electronics partnered Evolution Acoustics loudspeakers, I was immediately struck by the fullness of the midrange. It was as though the system was opening its heart and welcoming us in. That's how warm and nurturing the sound was. 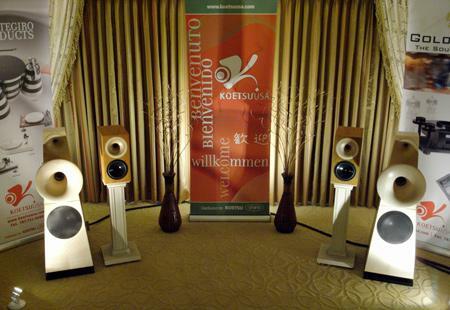 Twice this CES, I found rooms that were so striking that I suggested all the Stereophile brothers go take a look/listen. The first one was the Sumiko/Vienna Acoustics suite up on the 34th floor (I still can't get over how great the sound was in that roomyou can read Jason's more reserved take on the room here), and the second, for completely different reasons, was the Resolution Audio room. 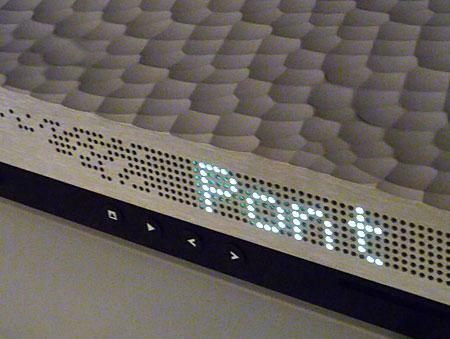 Close-up of the retro-futuristic display graphics. Yes, they did line up an entire string of alphanumeric LED displays to match the holes carefully machined in the chassis. A clever USB to Ethernet bridge (Pont Neufget it?) to allow your computer USB out to serve the Cantata over long cable runs. In striking case to match the Cantata aesthetics and available in February for $400. I was surprised at how ambitious the new Maestro from Electrocompaniet looked on paper: Blu-ray drive, both audio and video streaming, internet radio, FM tuner, options including iPod dock and DAB/HD radio, integrated amplifier delivering 120 Watts into three channels, and optional 75 Watts times two amplifier for surround that can be wirelessly driven using a RF link. All this for between $8,000-10,000 depending on options. 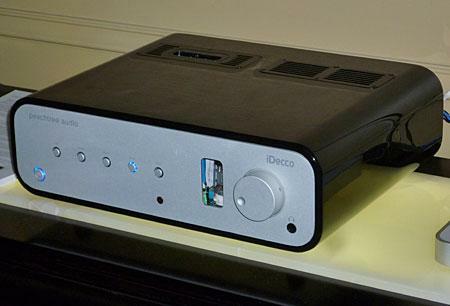 Peachtree scored a hit last year with their Decco desktop DAC/Amp combo. They've returned with an updated version of the original Decco called the Decco2 which is available now for $799 and sports a 40 watts per channel tube hybrid integrated amp and ESS Sabre DAC. 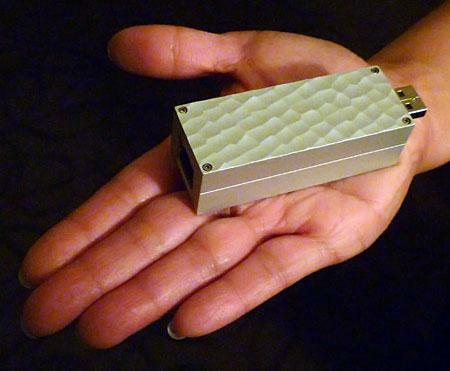 I still remember seeing the first two HRT Streamers at CES last year, when Kevin Halverson held them out in his hand, thinking what a great idea to improve the lot of cash-strapped PC Audiophiles. One year and thousands of sales later, version two of the original DACs are out as the $149.95 Music Streamer II and $349.95 Music Streamer II+. Joining them is the Music Streamer Pro at $499.95 which sports balanced +4 voltage outputs and other goodies for the pro-audio set. "It's really red" I exclaimed, "bright, give-me-a-speeding-ticket red." Simaudio's Lionel Goodfield and distributor Michael Baskin were both quick to respond with "is there really any other color when it comes to special cars? So it is with special audio components." I had gone into the Koetsu USA room at the Venetian to catch up on the latest developments to the Italian Blacknote DSS30 media server, which I hope to be reviewing later in the year. 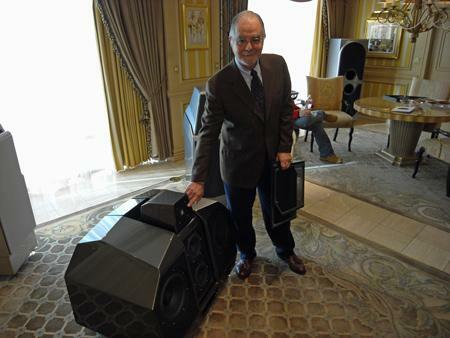 But I was very taken by the sound of the three-way Odeon Elektra loudspeakers ($19,100/pair), which, driven either by the DSS30,a Goldennote Stibbert CD player, or a Montegiro LP player, via a Goldennote 75Wpc, solid-state integrated amplifier, didn't sound at all like what I expect from horn speakers. Strings had a natural sheen, brass winds a natural "blattiness." Whether solo voice, classical orchestral, or solo piano (a high-rez Beethoven Sonata from 2L), the sound was uncolored, unstrained, and enjoyable. 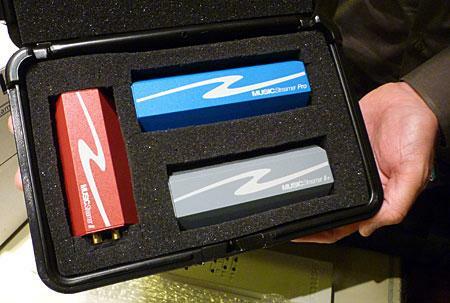 I spent much of my time at CES roaming around with Stereophile's self-proclaimed Web Monkey, Jon Iverson. I'd never met Jon before I came to the 2010 CES but he was a wonderful guide both to Las Vegas and to CES, as well as a smart and kind person to get to know. On Saturday morning he suggested we head on over the THE Show located at the Flamingo Hotel, right on the strip. One of the first rooms we happened upon was the Edge Electronics room. Jon said, "We've got to go in here." 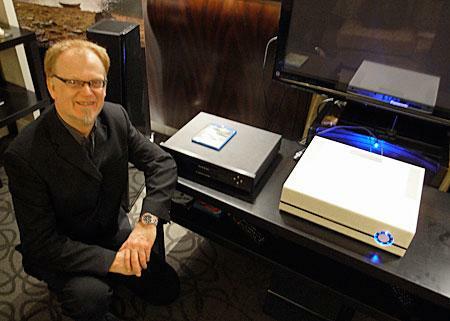 Havng recently used Esoteric's four-box SACD playback system, with its dual-mono DACs and the ultra-high-precision Rubidium Clock unit, I checked out what the Japanese company was displaying in the rooms they were sharing with cable manufacturer Synergistic Research. 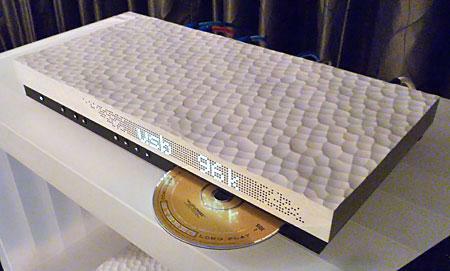 My eye was caught by this beautifully styled one-box SACD player/DAC/100Wpc amplifier. 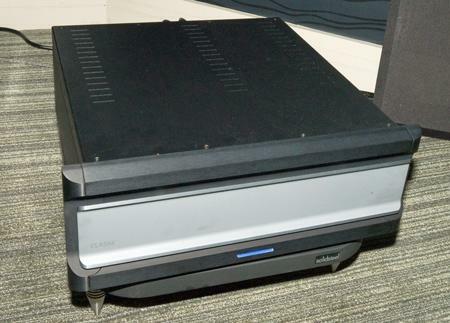 The RZ-1 is scheduled to sell for $6000 and as well as using one of Esoteric's highly regarded SACD/CD transport mechanisms, it has both 192kHz-capable S/PDIF and 24/96-capable USB digital inputs andsignificantly for the way the audio market is goinga phono preamplifier. The 32-bit D/A section uses an AKM AK4392 chip and offers both a conventional reconstruction filter, one that resembles Meridian's minimum-phase "apodizing" filter. There were a few companies showing products on the 2nd floor of the Venetian, adjacent to the Sands Convention Center, where the Adult Show was being held. After John Atkinson and I grabbed a well-needed afternoon cup of coffee we checked out a few of the spaces on these lower floors. JA and I quickly found the Parasound/Atlantic Technology rooma pairing of companies I would not have come up with myself. 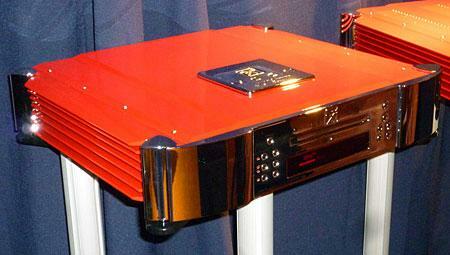 On silent display was the brand new JC3 phono preamplifier ($2000). 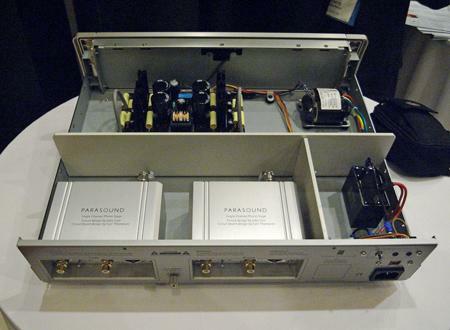 Those who know about Parasound equipment will already know that the JC moniker for this phono stage indicates that it was designed by John Curl, an engineer that many audiophiles (and reviewers) speak of only in hushed tones. 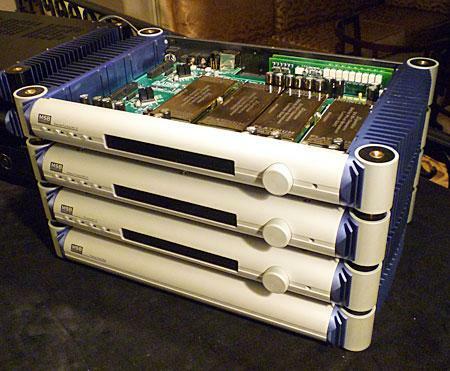 As you can see from JA's photo, the preamp is divided up into shielded sections within the chassis to keep the dirty signals dirty and the clean signals clean. Each channel's circuitry is encased in a metal sub-enclosure, that also shields the input and output jacks, and is supplied super-regulated DC from the power supply. Some products at CESall-black products, with black highlights, and with the lettering tastefully done in black, in a darkened roomdefeat all but the most-determined photographers. 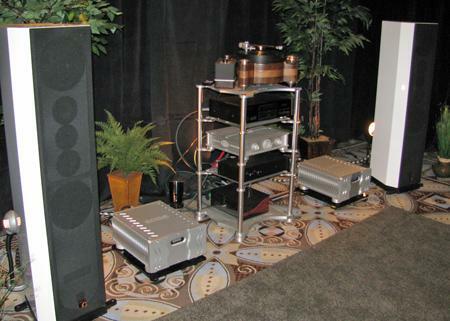 So my thanks to Larry Greenhill for managing to photograph the new Classé CTM600 600W monoblock amplifier ($6500 each). MSB is not messing around at this CES. The company has announced a stack of new products, including the DAC IV variations seen here (from the top): Signature Platinum DAC IV starting at $13,995, the Diamond DAC IV starting at $25,995, the Platinum DAC IV starting at $5,995, and the Platinum Power Base to keep them running.